My name is Irene. 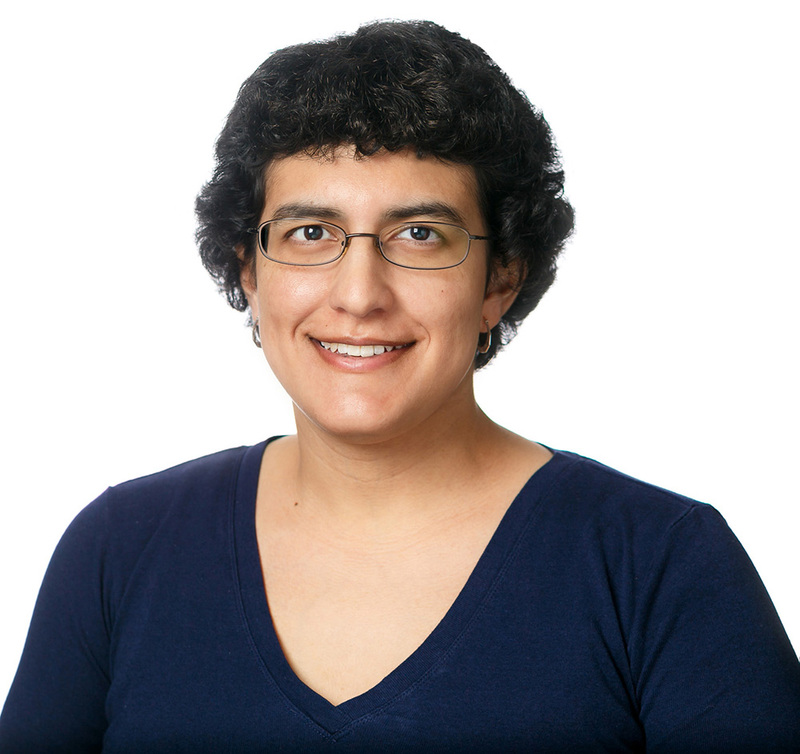 I'm a web developer with extensive experience in photography and video production. I've operated Small Wonder Media, an independent media company, for over eight years. I'm eager to use my photography and video production background to create visually engaging websites. I took the background photo and you can find my photo and video work at Small Wonder Media. 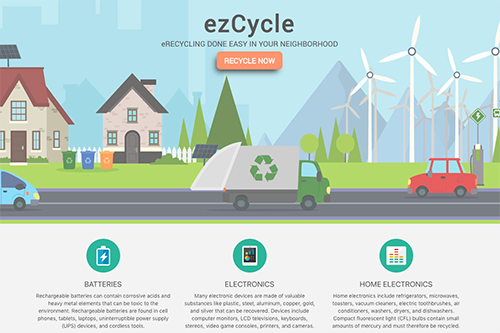 A group project to create an app to find electronics recycling locations in the Washington, DC area. I created the database and assisted with front end design. 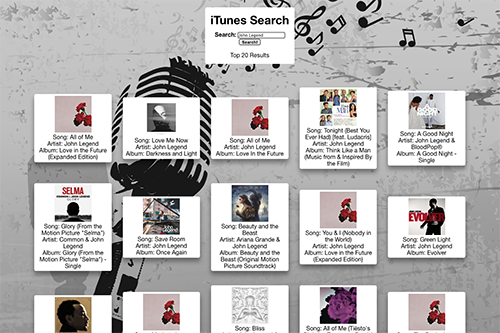 An application connected to the iTunes Seach API, made with React. I did front-end design and implemented API integration with React. 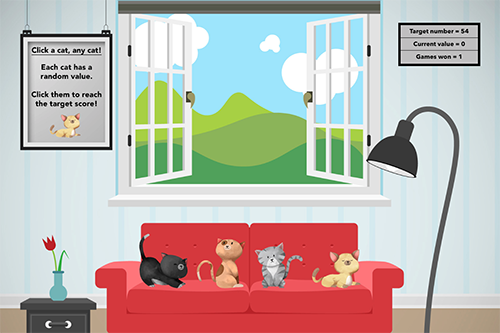 A number guessing game made with React. I did front-end design and React functionality. 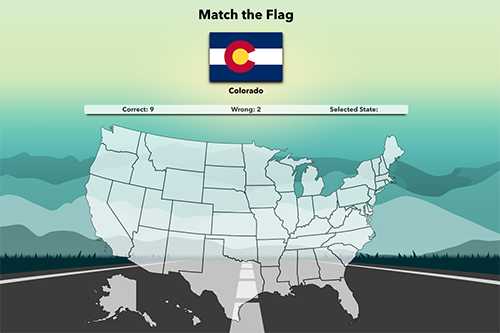 A geography-themed matching game made with React. 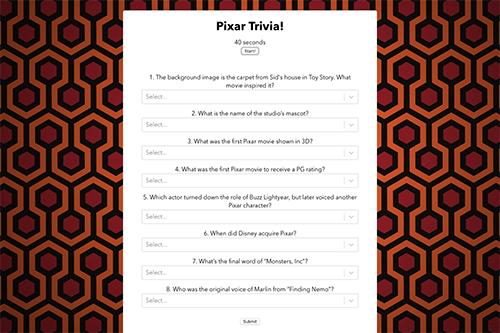 A Pixar-themed trivia quiz made with React. 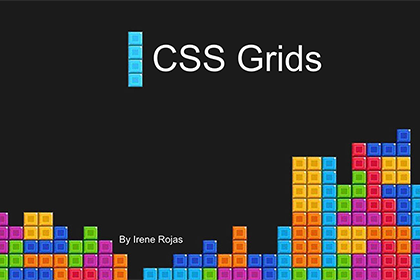 Presentation I made to the GWU Coding Bootcamp about laying out websites with CSS Grids, rather than frameworks like Bootstrap or Materialize. 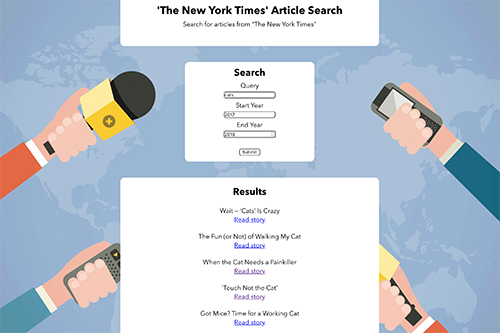 New York Times article search created with React. 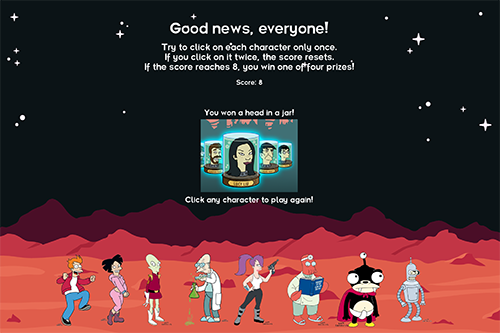 A Futurama-themed memory game created with React. 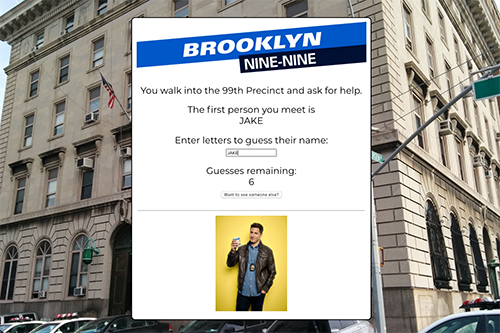 A "hangman" style guessing game with a Brooklyn Nine-Nine theme, using the names of the main characters. Created with React. I did the front-end design and React functionality. 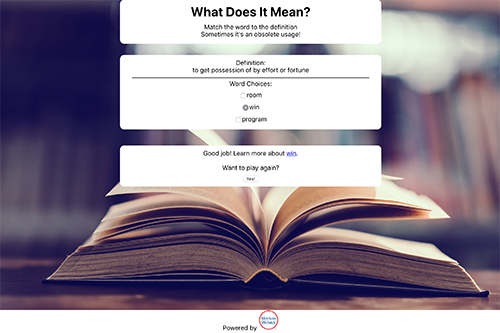 A word guessing game using definitions from the Merriam-Webster API. Created with React. 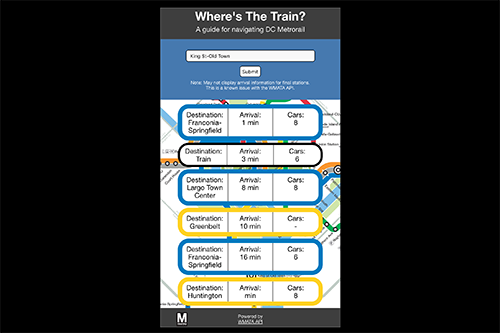 A web app for tracking railcar arrivals in the DC Metro system, using the WMATA API. Created with React. 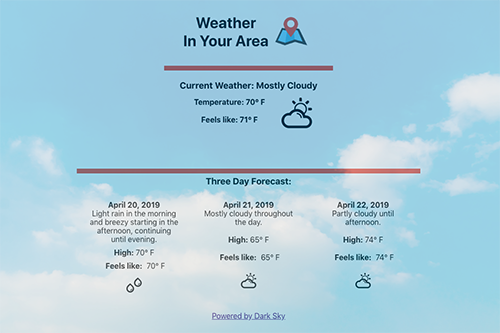 The app requests the user's location and returns weather information from the Dark Sky API. Created with React.